Hope you all enjoyed a fun weekend. Me, I was off to Albany and back, to celebrate Melissa’s upcoming wedding. It was great to see her, if quickly, and to wave to the beautiful Hudson Valley (oh, how I miss weekends upstate with Chloe). 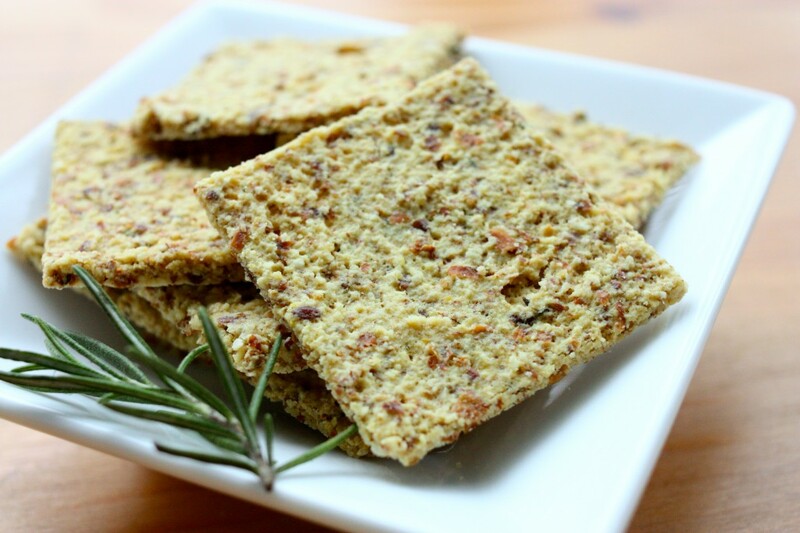 Before I left, I made a big batch of these cheesy almond rosemary crackers, which were half inspired by the famous (and rightly so) cheesy quackers from One Lucky Duck, and Susan’s rosemary almond crackers. 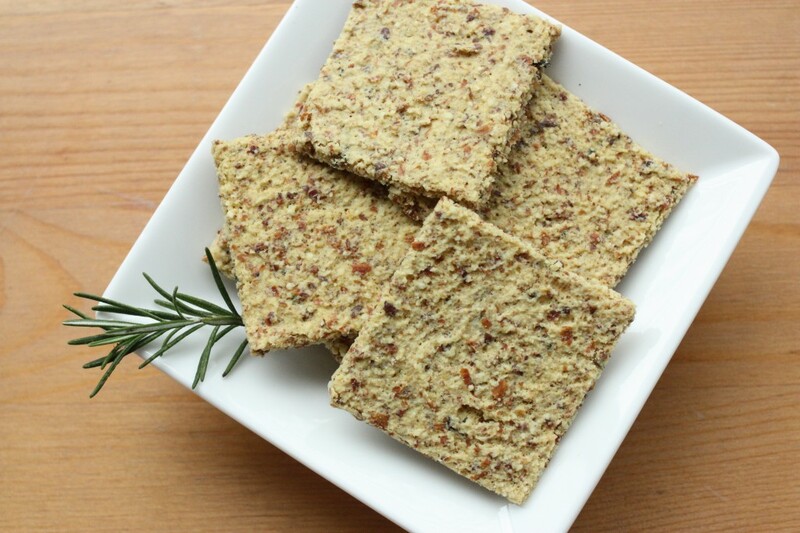 They’re a little salty, a little cheesy (thanks to nutritional yeast, of course) and infused with the taste of fresh rosemary, which is one of my very favorite herbs. 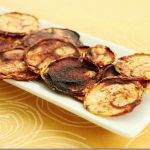 The make for fantastic snacking, spreading, and they’re also pretty tasty when you crumble them up and dumb them on a salad. 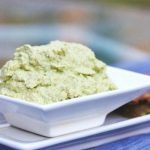 Place almonds, flax meal, nutritional yeast, salt, and pepper in a food processor fitted with the S blade. Pulse to combine. Turn the motor on and drizzle in ½ cup water. Process for a minute or two, stopping to scrape the bowl down. Add more water as needed, until the mixture is easily spreadable (not liquidy, but not at all pasty, either). Spread mixture onto a single, Teflex-lined dehydrator sheet. Dehydrate at 115-118 degrees for four hours. 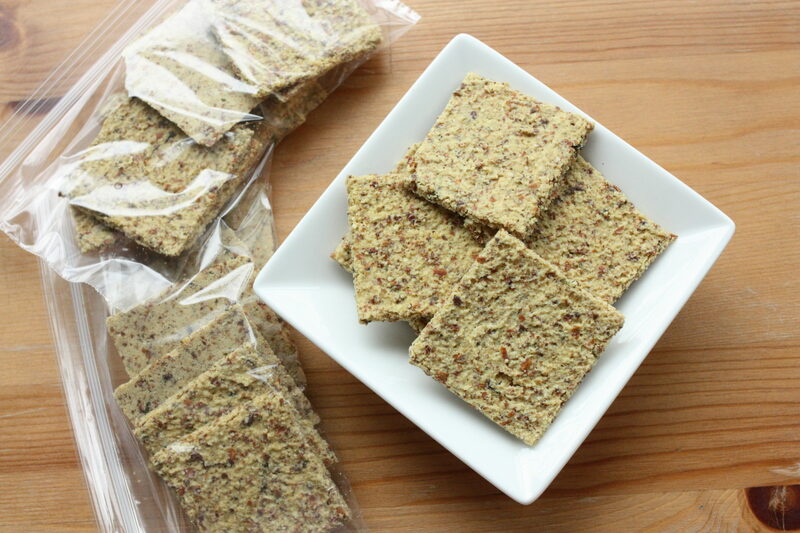 Score into cracker shapes, and dehydrate for another 8 hours, or overnight. 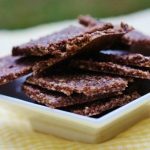 Break crackers apart, flip them over, and dehydrate for one more hour. Makes 35 (or so) crackers. Right now, these crackers are dehydrator only. I tried baking them once (at 350) and they browned much too quickly, so I think the oven version needs some tinkering. If anyone has success with an oven batch, let me know what worked–I suspect a lower temperature for more time is probably the way to go. And to the dehydrator-enabled, I hope you’ll enjoy these as much as I did. (Valerie, to whom I delivered a batch, is also a big fan.) I’ve been packing the up in baggies for snacks! 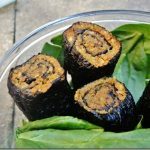 A new “Thought for Food” column for Our Hen House, detailing the way I’ve shared my veganism with my post-bacc friends. These look great! Have you tried them using the pulp from almond milk? They seem like they’d be a perfect use for that pulp, but I don’t know if the milk-making process would remove components that should somehow be replaced or substituted in the crackers. 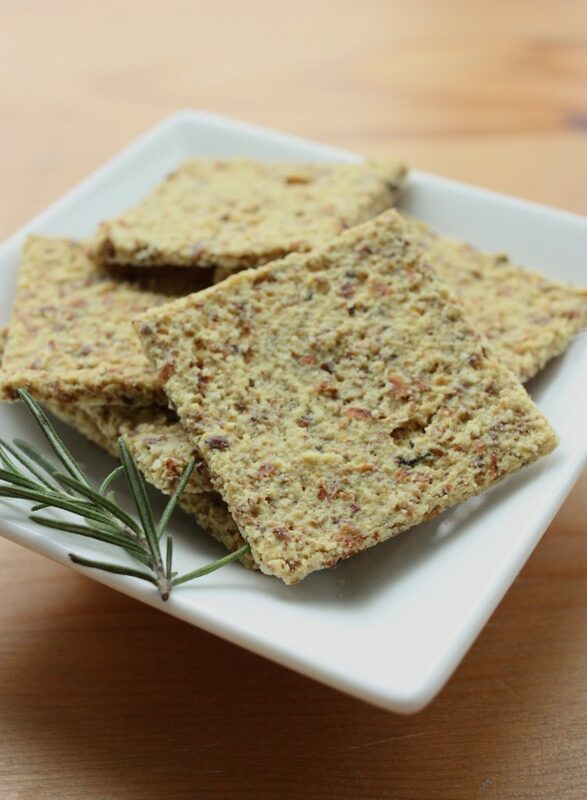 Cheesy almond crackers. I never thought of putting this together in a recipe but OMG they look very tasty. Lets hope I can ,make them ha ha. I have always wanted to recreate the OLD Quackers, but couldn’t muster up the courage. Do you like these as much? More? Looks great Gena! Do you think this would work with almond pulp (from making almond milk)? It seems like quite a bit of a hassle to make. I mean it is really worth it to make crackers, it’s doesn’t seem very simple to make either. onto dehydrator trays. Then you wait for them to dehydrate, which takes no effort. I leave it on overnight or while I’m at work. 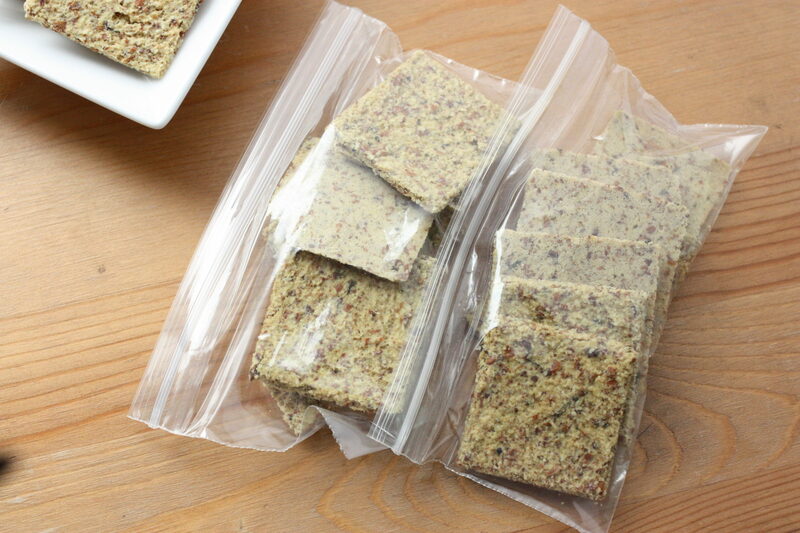 As far as raw dehydrated recipes go, this is as simple as it gets! These look so great! I love rosemary but hardly ever use it. I’m assuming these are bakeable if one doesn’t have a dehydrator? Great to see your post on girliegirlarmy by the way! These look so tasty. I was actually craving rosemary last night! These look delicious! I really need to start making some more savory snacks. Too much sugar these days! Mmmm these sound really delicious. I like how they are simple to get together! 22 mins 350 degree oven. With the addition of 1/4 tsp baking soda and 1T grapeseed oil. May go against raw with my additions and baking them, but it works for those that asked. Can we substitute walnuts for almonds? I happen to have tons of walnuts. 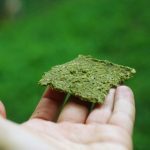 Made these in my new dehydrator. They just crumbled. Stuck to the recipe exactly. Dreadful waste of almonds. Mine were a little crumbly as well, each cracker broke into a few pieces. I always score batter before putting them in the dehydrator and then while still pliable use a scissor to cut them apart so crackers dry independently. I will dry them less next time. Despite the cracking, they were a hit at a raw potluck. Everyone wanted the recipe. Use pieces as croutons in a salad or a crumbly topping for veggies next time. These are in my dehydrator right now. They smell delicious. I plan on using them as a base for a pizza-like meal. With my dehydrator, they’re taking a little longer than 13 hours but that’s ok. I’m excited! Dried rosemary should work nicely! The instructions don’t say when to add the rosemary. Assume you process it with everything else rather than sprinkling on top? That’s right, Marsha! I’m sorry for the confusion. do you think i could use premade almond and flax meal for this?